In simple and straightforward language, Bhante Gunaratana shares what the Buddha said about mindfulness in his instructional talks and how we can use these principles to improve our daily lives, deepen our mindfulness, and move closer to our spiritual goals. 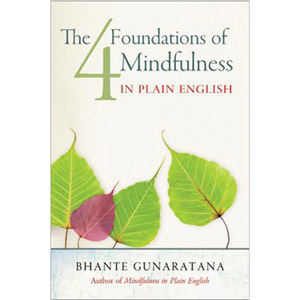 While this book is based on a classic text, the Satipatthana Sutta, its presentation is thoroughly modern in Bhante’s trademark “plain English” style. Paperback, 2012 edition, 179 pages.